We gather information through two means – navigational information gathered when you visit this Web site and information that you provide to us. Generally, the information we collect online helps us respond to your requests, deliver requested services to or for you, and personalize and continually improve your experience at The Oaklander Hotel. When visiting this Web site, The Oaklander Hotel gathers navigational information about where visitors go on this Web site. This information allows us to see which areas of this Web site are most visited and thus, improve the quality of our visitors’ experience by recognizing and delivering more of the features, services and products our visitors prefer. Additional non-personally identifiable information (for example, domain type, browser version, service provider, IP address) may be collected, which provides additional information regarding the use of this Web site, such as how many times a page on this Web site is visited. The Oaklander Hotel uses this information on an aggregate basis to evaluate the effectiveness of this Web site, to analyze trends and to administer this Web site. If you elect to complete an employment application through this Web site, you will be asked to provide your name, mailing address, telephone number, e-mail address and information with respect to your work experience, background and position sought. In addition, you may submit your resume to us online. Any information that you provide to us at the employment portions of this Web site (i.e., if you complete an online application or submit your resume online) is only used to enable The Oaklander Hotel to consider your interest in employment with The Oaklander Hotel and, if hired, for employment and business-related purposes. If you indicate while visiting this Web site that you would like to receive The Oaklander Hotel news and information, The Oaklander Hotel will use the e-mail address information that you provide to send The Oaklander Hotel marketing materials to you.  If you previously signed up to receive The Oaklander Hotel marketing materials via e-mail but would now like to be removed from the The Oaklander Hotel e-mail marketing list, you can either use the “unsubscribe” feature on our e-mails or send your request to info@theoaklanderhotel.com. The Oaklander Hotel does not sell, rent or trade the information that you provide to us at this Web site. We may, however, use third parties to help us provide services to you, such as fulfilling online gift certificate or gift card orders, processing payments, monitoring activity on this Web site, conducting surveys, providing online driving directions, and administering e-mails or contests that may occasionally be offered at this Web site. If personally identifiable information (i.e., name, address, e-mail address, telephone number) is provided by us or by you directly to any of these third parties, we will require that such information be maintained by them in confidence. The Oaklander Hotel shall endeavor and shall take every precaution to maintain adequate physical, procedural and technical security with respect to our offices and information storage facilities so as to prevent any loss, misuse, unauthorized access, disclosure or modification of the user's personal information under our control.